Roy grew up in Ottawa and attended the University of Toronto. Poetry written in his student years appeared in literary magazines, the collection Shoot Low Sheriff, They’re Riding Shetland Ponies (co-authored with William Hawkins), and the Contact Press anthology New Wave Canada. After four years as a trade editor with Toronto book publisher Clarke, Irwin, Roy started New Press in 1969 with fellow writers James Bacque and Dave Godfrey. Together with the House of Anansi and other presses, New Press led a Canadian publishing renaissance in the 1970s, co-founding the Association of Canadian Publishers, which lobbied successfully for government policies to strengthen the publishing industry. 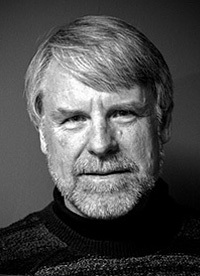 When New Press was acquired by General Publishing, Roy became books editor, literary columnist and publishing reporter at The Toronto Star. He later moved to Ottawa to work with the Canada Council for the Arts, administering policies and programs for book publishing. He also served with the Federal Cultural Policy Review (Applebaum-Hébert) Committee as a policy advisor. Roy’s involvements in book publishing, journalism and cultural policy led to a career combining arts consulting with writing. He now lives in the countryside near Perth, Ontario and writes full-time. He is the author of four novels and three works of non-fiction. His early novels Formentera and Out of Love were translated into French. He has also co-authored the self-help title On Your Own Again with Dr. Keith Anderson. Roy is married to the artist Suzette DeLey MacSkimming. They have two sons and four grandchildren. Laurier in Love, a novel. Toronto: Thomas Allen Publishers, 2010. Macdonald, a novel. Toronto: Thomas Allen Publishers, 2007. The Perilous Trade: Publishing Canada’s Writers. Toronto: McClelland & Stewart, 2003, revised edition 2007. Cold War: The Amazing Canada-Soviet Hockey Series of 1972. Vancouver: Greystone Books / Douglas & McIntyre, 1996. Coups de Coeur, French translation by Jean Chapdelaine Gagnon of Out of Love. Montreal: Les Herbes rouges, 1995. Gordie: A Hockey Legend. Vancouver: Greystone Books / Douglas & McIntyre, 1994, revised edition 2003. Out of Love, a novel. Dunvegan and Toronto: Cormorant Books, 1993. On Your Own Again: The Down-to-Earth Guide to Getting through a Divorce or Separation and Getting on with your Life, with Keith Anderson, M.D. Toronto: McClelland & Stewart, 1992 and New York: St. Martin’s Press, 1992. Revised edition, McClelland & Stewart, 2007. For Arts’ Sake: A History of the Ontario Arts Council, 1963-1983. Toronto: Ontario Arts Council, 1983. Formentera, French translation by Arlette Francière of Formentera. Montreal: Le Cercle du Livre de France, 1976. Formentera, a novel. Toronto: New Press, 1972. Shoot Low Sheriff, They’re Riding Shetland Ponies, with William Hawkins. Ottawa: privately published, 1964.